Treat illness on the spot with NGUI-MATRIX. On April 5-6, 2019, attendees of the “Duck” Tape Medical Summit, designed for DDS, DMD, MD, DO, DC, ND, and PT, will have the unique opportunity to learn more about the innovative pain management system known as the NGUI-MATRIX. The NGUI-MATRIX is a non-invasive pain management and pain treatment system that has been developed by Grandmaster Stanley Ngui IMD, PhD. In addition to educating others on his innovative new medical technique at the summit, Grandmaster Stanley Ngui will also be holding an interactive post-conference workshop at his local clinic, NGUISTYLE INTEGRATIVE MEDICINE INC. If you are interested in attending this event we urge you to contact Mark Orthodent by phone at (866) 833-1033 or by fax at (905) 723-23319.
Who Is Grandmaster Stanley Ngui? Grandmaster Stanley Ngui is a 23rd generation practitioner of traditional Chinese medicine and the art of Qigong. Grandmaster Stanley Ngui operates out of the NGUISTYLE studio in Toronto, Canada and has been speaking at medical seminars and summits around the world for decades. Speaking at events such as the World Organization of Natural Medicine’s Integrative, Natural, and Humanitarian Medicine Conference, Grandmaster Stanley Ngui has presented to medical professionals and educators across the world. In 2009, Grandmaster Stanley Ngui was knighted into the Sovereign Orthodox Order of the Knights Hospitaller of St John in 2009. Currently, he is a member of the Board of Orthomolecular & Integrative Medicine and World Organization of Natural Medicine Practitioners where he also functions as Ambassador at Large North America and the Chancellor. 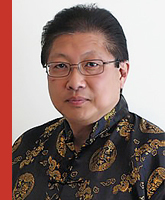 Currently, Grandmaster Stanley Ngui is a member of the Steering Committee of Integrative Medicine and the Chancellor for North America for the Orthomolecular Division of the World Organization of Natural Medicine Practitioners. The NGUI-MATRIX is an innovative medical treatment technique that can be used to manage and treat chronic and acute pain. 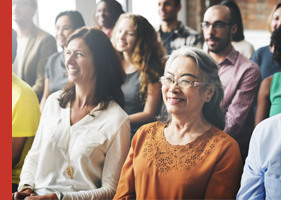 As a culmination of Grandmaster Stanley Ngui’s extensive knowledge, the NGUI-MATRIX utilizes a number of different frameworks that you may be familiar with as a medical professional, while also providing a fresh new take on pain management systems. The principle framework of the NGUI-MATRIX recognizes that natural energies flow along meridians in the human body. When someone experiences pain, acute or chronic, it is a sign that there are abnormalities in the body that cannot be corrected naturally. The NGUI-MATRIX technique allows medical practitioners to correct these abnormalities in a non-invasive way — adjusting the Qi of the person experiencing pain. The NGUI-MATRIX is a beneficial treatment regimen for medical professionals to offer to their patients for a number of reasons. The NGUI-MATRIX allows medical professionals to offer alternative treatments to their patients that might be looking for a non-invasive and non-toxic pain management system. If you are interested in learning more about the NGUI-MATRIX in both a lecture-based and hands-on session, we strongly urge you to attend the upcoming “Duck” Tape Medical Summit and Grandmaster Stanley Ngui’s post-event workshop. The “Duck” Tape Medical Summit, will be held on April 5-6, 2019in Toronto, Canada at the downtown Hyatt Regency hotel. The NGUI-MATRIX post-summit workshop will be held on Sunday, April 7, 2019 — the day following the ending of the summit. The workshop will be held from 9am to 3pm at the NGUISTYLE INTEGRATIVE MEDICINE INC. Address: 165 East Beaver Creek Rd., Unit 24, Richmond Hill, Ontario, L4B 2N2. To make a reservation for a spot at the “Duck” Tape Medical Summit contact Michele Mark Orthodent (866) 833-1033 Fax: (905) 723-23319 Toronto, ON. We look forward to seeing you at a medical seminar soon! ©2019 NGUI-MATRIX | All rights reserved.